For many seniors, their most important lifelines are their adult children and spouses. Seniors often rely on adult children to help research and secure health care, social services and housing. Those entering their golden years childless and single, divorced or widowed would be well-served to put in place alternatives to these lifelines. Doing so will improve one’s physical and mental health, safety and longevity. The pointers described below are valuable to all seniors, but those without close surviving family in particular should take note. A geriatric care manager can take the place of close family members for making arrangements to meet one’s healthcare needs. They might help coordinate home care following discharge from a hospital, for example, working with the patient and other designees. The healthcare and financial agent, attorney and geriatric case manager together form a team working on one’s behalf. Many seniors see great benefit in moving to walkable communities, whether small or large. Ride-hailing companies, popular for their smartphone apps, have formed partnerships with retirement communities and health care facilities to provide non-emergency transportation to medical appointments. For some, mobility is a challenge. Fortunately, technology can alleviate this burden. Smartphone-powered on-demand services are bringing groceries, restaurant fare and even personal assistants right to people’s doorsteps. 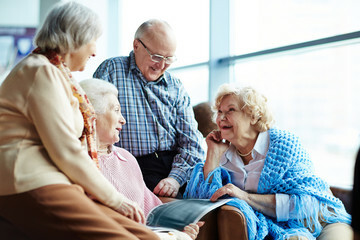 Congregate living, or congregate housing arrangements, are popular with seniors looking to maintain a strong sense of community with other seniors. 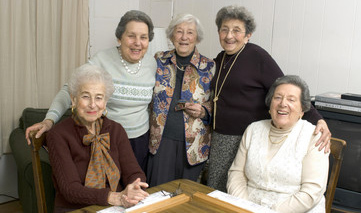 They allow continued independence while fostering friendships, and are popular with single seniors. 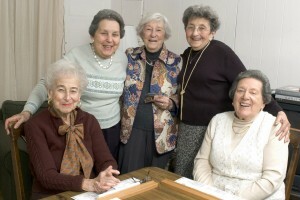 Continuing care retirement communities are also quite common. In these communities, residents usually first move into independent living residences. If and when a higher level of care is needed, they then move into assisted-living or skilled-nursing facilities on site. ThriveNYC, the city’s mental health initiative, runs a Friendly Visiting Program that pairs volunteers with seniors in need of companionship and conversation. A smartphone app and service called EyeOn App prompts the user with an alert at scheduled times during the day. If they do not respond within 30 minutes, designated friends and family are automatically notified that something could be wrong.